There is a lot of questions on various forums on how to install a CA certificate on Android device. Some suggest using RealmB web site. While I trust that RealmB authors have had the best intent to help others, I think publishing a security certificate you use to connect to your corporate network on the web is as wise as giving keys to your house to absolute strangers and I personally would not use the tool. Android 2.2 I have installed on my Motorola Atrix has both Certificate Installer and Certificate Manager. To find them go Settings-> Location & security, scroll down ->Credential storage-> Install from internal phone storage. You will see a dialog offering you to complete the action using either Certificate Installer or Certificate Manager. First of all by default Certificate Installer looks for certificates to install at folder called download in SD card. It considers as certificates files with extensions either .crt or .p12. The latter stands for certificates in PKCS #12 format and the former stands for certificates in Base64 Encoded X.509 format. You should be aware that there are other certificate formats as well, e.g. PKCS #7, but it seems that Certificate Installer can’t handle them. If you are interested to find more about certificate file formats, read this. Connect your device to your computer via USB cable. Make whatever you usually do so that the device appears as an external drive in the computer filesystem. If you never connected your Android device to your computer as USB drive and you use Windows computer, the most likely you will need to install a proper USB driver on your computer. Such USB drivers for Android devices are manufacturer-specific and can be found on manufacturers web sites (see the list here). For Ubuntu Linux you will need to add some configuration parameters; no USB driver installation is required. See details here. 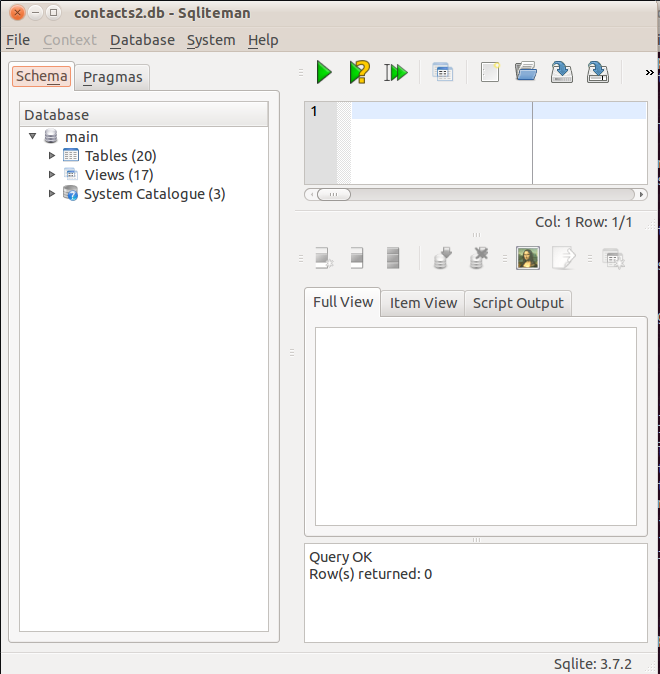 There is a number of GUI tools for SQLite available for Linux and Windows. We’ll be using Sqliteman. It is free, available for Linux, Windows, Mac OS X and various versions of Unix. This makes instructions we are going to provide applicable to all those OS. Installation instructions and Sqliteman installer for Windows could be found here as well as instructions and distributives for other OSs. Let’s try to explore an existing database from Contacts application using Sqliteman. 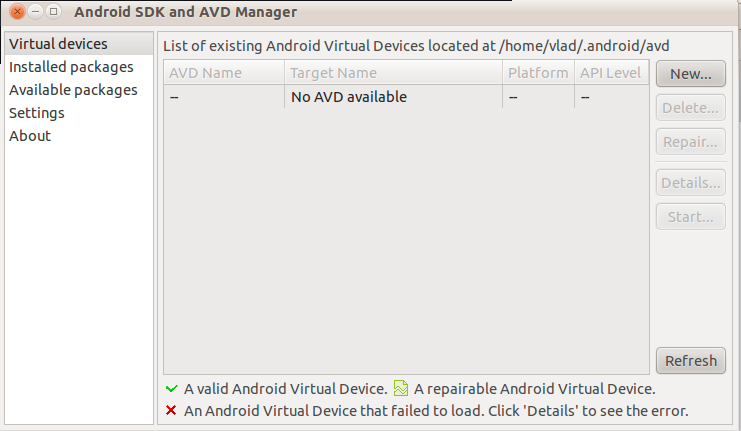 Sqliteman can not access files inside Android AVD or Android device. 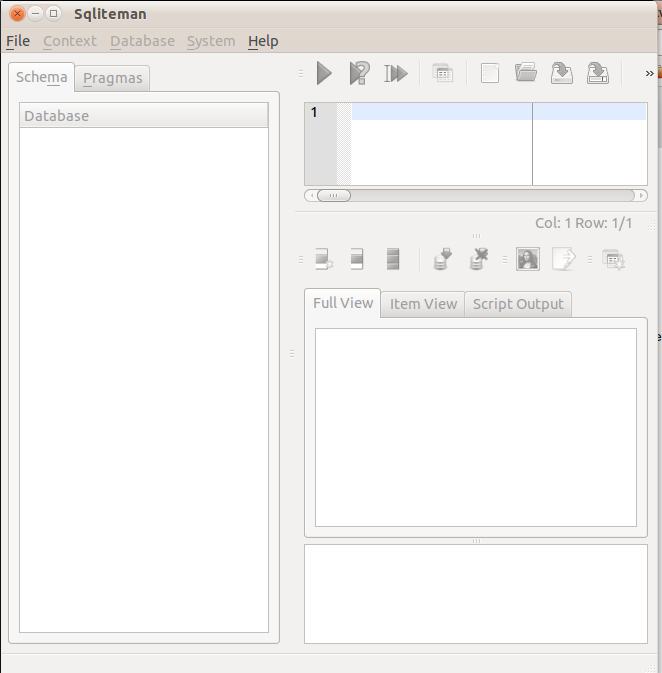 To make use of Sqliteman we have to copy the database file we want to work with from Android filesystem to your PC local filesystem. This can be done with adb tool. If you want to work with files inside Android filesystem, use SQLite command line shell described here. 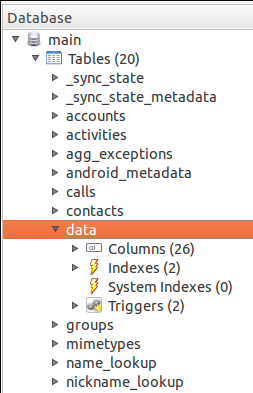 Here ~/android is a directory where we want to copy the database file. This confirms that the file was copied successfully. Both methods have advantages and disadvantages, therefor we need to get familiar with both. I assume you have already installed Android development environment. If not, instructions for Windows are here, for Linux they are here. The instructions below work for both Windows and Linux. Android provides command line shell access to its SQLite databases through a standard SQLite command line shell. You can find a good manual on it here. Just keep in mind, that Android OS 2.3 contains SQLite version 3.6.22 while the documentation has been written for a slightly earlier version (3.6.11) which accounts for small discrepancies. Otherwise Android team implemented a complete command line access to SQLite databases (unlike they did with ash shell; Android provides a reduced set of ash shell commands). We can start SQLite command line shell while running adb. adb stands for Android Debug Bridge, a tool similar to SSH or telnet which allows accessing either AVD (Android Virtual Device, essentially Android emulator) or a real Android device connected to our computer. I highly recommend experimenting with AVDs instead of real devices until you feel confident with what you are doing. Here TestAVD is a name of AVD we are going to work with (of course, your AVD may have a different name). If you get a message saying that emulator not found, you may have forgotten to add tools and platform-tools directories of Android SDK to your system PATH. 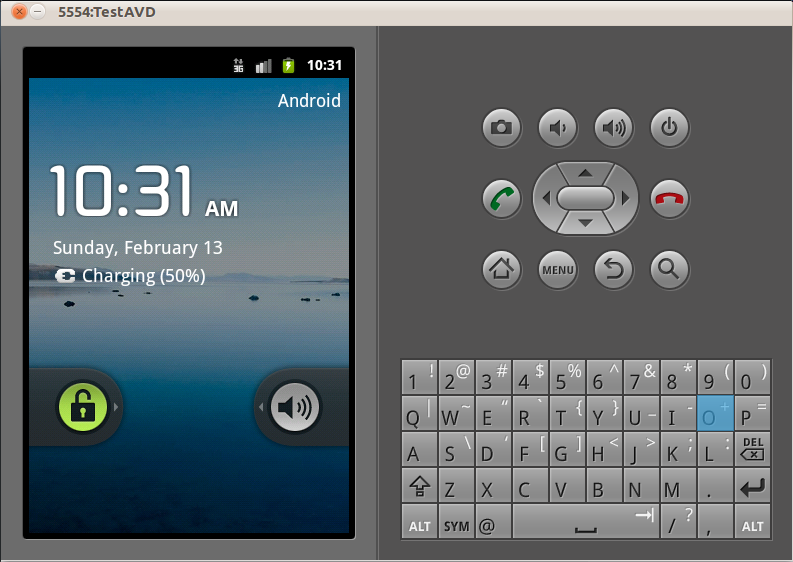 If all goes fine, we’ll see Android emulator GUI in a few seconds. Give it a time to start Android OS; it may take up to a minute or so. SQLite command line shell accepts SQL statements and so-called “dot” commands, i.e. commands starting from a dot. Those commands unlike SQL are SQLite-specific. 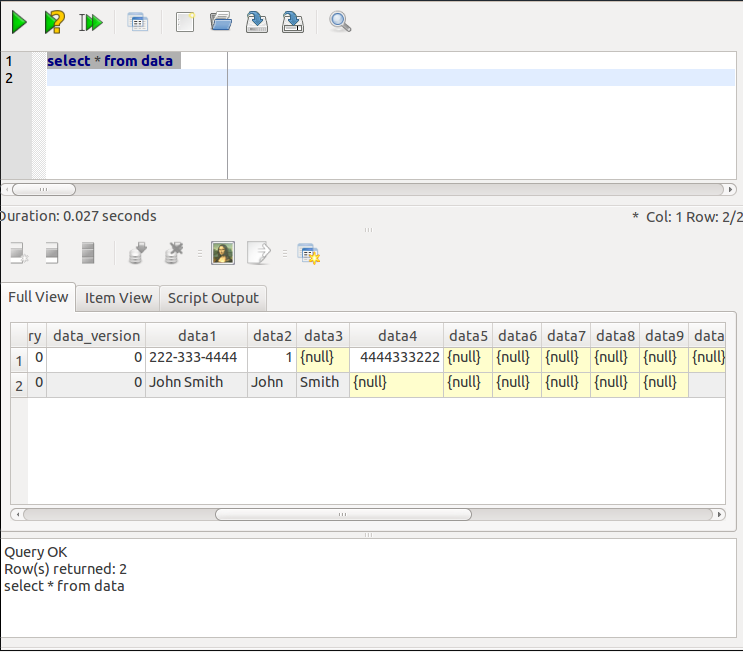 To exit from SQLite shell type .exit (note the dot) or Ctrl-D. To interrupt a long running SQL statement type Ctrl-C.
Until now SQLite shell hasn’t been connected to any database. To make the shell connected to a particular DB, launch it with DB file as a parameter (SQLite contains the whole DB in one single file which is very handy). But where to find those files? Each time a new package is installed in Android OS, the OS creates a sort of “home directory” for it. All those “home directories” are located in /data/data directory of the device or AVD. The names of the directories correspond to names of the packages. All package data including its DB or DBs is stored within the directories. This shows that EmailProvider.db contains a number of tables: Account, HostAuth etc. Output of SQL statement select * from Account shows that table Account is empty. We are not going to discuss here all capabilities of SQLite command line shell. If you are interested, take a look here. While it is cool to be able to access SQLite database on a real Android device with so powerful tool, I think the use of SQLite command shell in this case is limited to debugging and research purposes. Indeed, I would not design a database inside a live device. Designing a database makes sense as a part of an overall application development which in Android case is done on a computer running Eclipse IDE and Android SDK. We’ll discuss tools more suitable for SQLite development in one of the next posts. There are such tools. They provide a handy GUI. In previous post we were looking at various command-line tools that come up with Android SDK (android, emulator, adb). We mentioned that abd shell command provides a shell access to Android device. Let’s explore this further. But before we start on this, let’s talk a bit about what Android OS is. More on adb and shell commands can be found here. You can look at certain examples of shell usage here. Don’t try them on a real device unless you fully understand what you are doing! It is no surprise that certain developers started porting Linux applications to Android. For example look here for how to add bash shell to Android OS. I will be not surprised to find ports of bigger Linux applications to Android. For example, Gnome is already allegedly running on Android. But why to be surprised…. Android devices have more CPU power and pixels on screens that best PCs had 10-15 years ago, right? Let’s examine what is available in tools and platform-tools directories of your Android SDK. I will be using Linux machine for this blog, but adjustements for Win environment are minor ones and rather obvious. Before you start, make sure that both directories have been added to your computer PATH. There is a number of scripts and executables in this directory (there are directories, too, but we are not looking at them now). Basically, these are functions of SDK Manager and android is the main script which launches SDK Manager. You can easily verify this by executing the script without parameters: in such case it will launch SDK Manager GUI which we already have seen while installing Android development environment. You can use android script for all those functions, but, frankly, SDK Manager GUI is handier, so I would not use the script in command-line mode unless I want to write certain automation scripts that require its functions. This will list you all AVD you have on your computer with certain details on them. 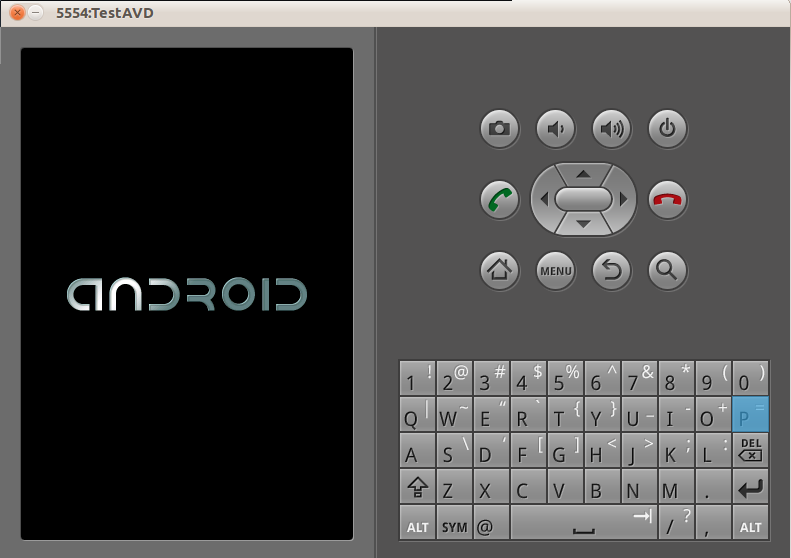 If you have AVD indeed, you can launch emulator to execute the AVD. If you don’t, launch SDK Manager by executing android script without any parameters. This will provide you with SDK Manager GUI and there is a tab for creating AVDs. Create AVD and proceed. Next we are going to look at adb command-line tool. 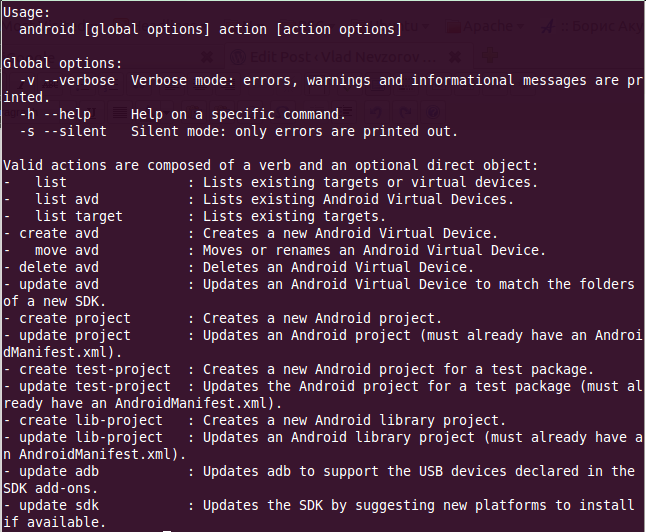 adb stands for Android Debug Bridge. This is an executable which allows other applications to connect to either Android emulator or a real device if such is connected to your computer. This output shows that adb is aware of emulator instances running and their state. If there is no emulator/device running, adb returns no device. If you just want to do a basic development, you probably don’t need to know much about adb; it will be operating “behind the scene” for you. However, if you consider yourself as an advanced developer, you may want to learn more about adb here. We’ll talk about shell access to Android devices in the next blog post. You can check the system requirements here. This page seems to be up to date. For GUI way you can use Synaptic Package Manager. 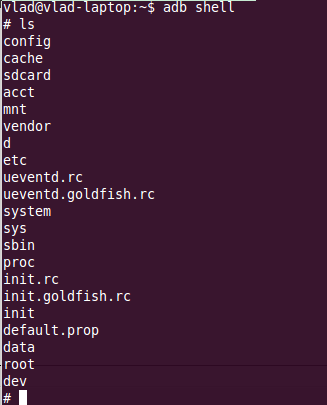 Go to System -> Administration -> Synaptic Package Manager. The Manager will ask for your password, enter it. Search for the package (ia32-libs), mark a checkbox at the beginning of the line and click Apply in Mahager’s menu. That’s all. Eclipse IDE can be installed in two ways. You can use Synaptic Package Manager or do it manually. However Synaptic Package Manager can istall Eclipse IDE 2.5.2 which is appropriate, but not the latest and greatest (3.6.1 at the moment). So let’s install it manually. 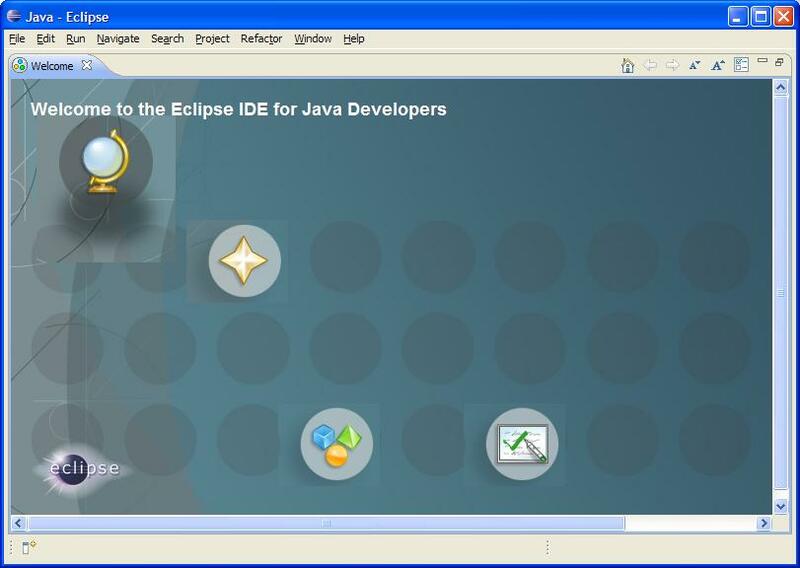 Eclipse IDE can be downloaded from here. Please note, this link points to 64-bit distro. If you use 32-bit Linux, you need to choose a proper distro. There are many flavors of it, you will need Eclipse IDE for Java Developers. This will give you the latest 3.6.1 version. If you have already earlier versions (3.5 or 3.4) and want to use them for Android development, you can do it. There is no difference between 3.6 and 3.5 as far as the installation is concerned. There is slight difference between 3.4 and 3.6 though (more about this later). Eclipse IDE comes as tar.zip file (eclipse-java-helios-SR1-linux-gtk-x86_64.tar.gz), so no installation as such is required. You just uncompress it into a folder you choose (I normally use for all my Eclipse installations ~/bin directory, where ~ stands for your home directory; but you can use whatever you want). Uncompressing the file will create another directory, which in my case will be ~/bin/eclipse. Since I use several versions of eclipse, I normally rename the latter eclipse directory to something which reflects a version of eclipse it contains, e.g. ~/bin/e361. However, of course, it is up to you where to place Eclipse on your computer. To make sure it works, you can launch the IDE. For this purpose you have to launch eclipse executable from the root directory of the uncompressed archive (which will be ~/bin/e361/eclipse in my case). You will see this dialog Workspace Launcher dialog. Select a directory for Eclipse workspace, click OK. After this you will see Eclipse IDE launched: This means your Eclipse IDE has been successfully installed. It is optional, but you may want to create a launcher for Eclipse executable. This is just for your convenience, though. From this point on you can follow instructions I have posted for Windows. Just adjust file system paths accordingly. There is no c: drive on Linux, right?